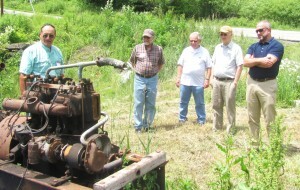 Clifford Township Historical Society member Mark Wilmot (left) displays one of two engines that once powered Yarns Cider Mill in Clifford Township, Susquehanna County. 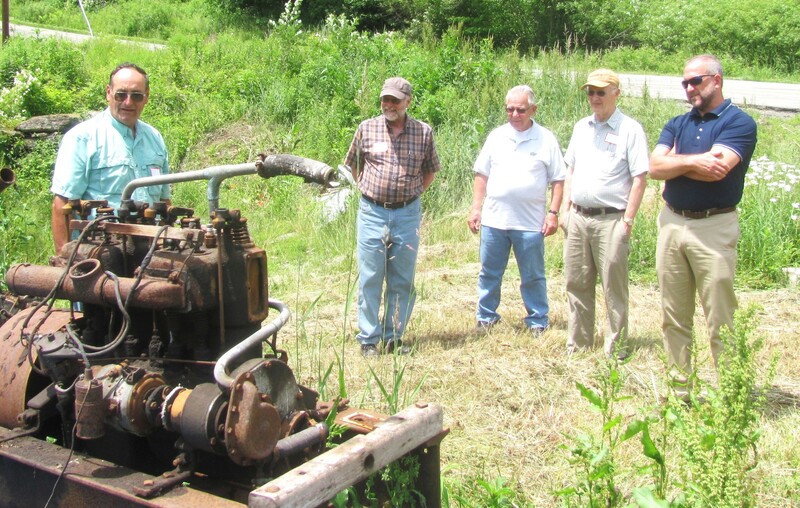 The Historical Society’s efforts to restore the mill and several other historic structures in the community is indicative of projects supported by grants secured by Endless Mountains Heritage Region. 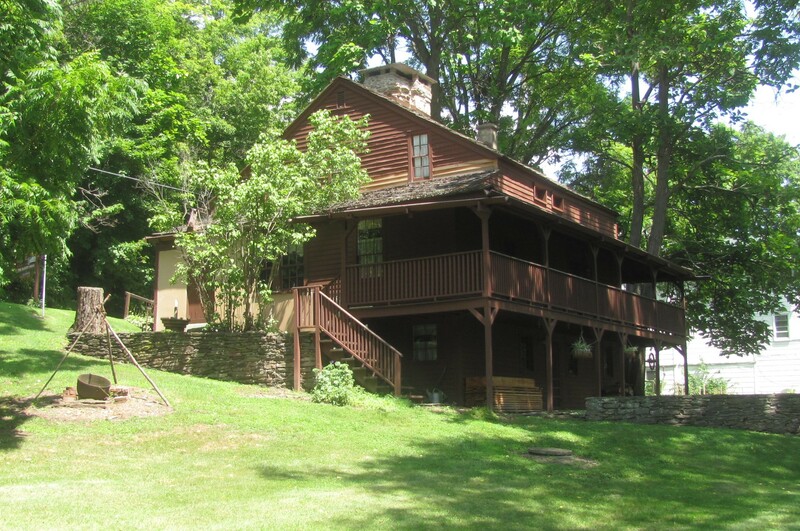 Endless Mountains Heritage Region (EMHR) is now accepting applications for grants to further projects and programs that support heritage tourism, historic preservation, outdoor recreation, education and interpretation, agricultural promotion, and scenic landscapes or byways in Bradford, Sullivan, Susquehanna, and Wyoming counties. Successful applicants in the past have received funding for the restoration of historic buildings, enhancing pedestrian access to heritage areas, trail development and signage, and development of interpretive centers. 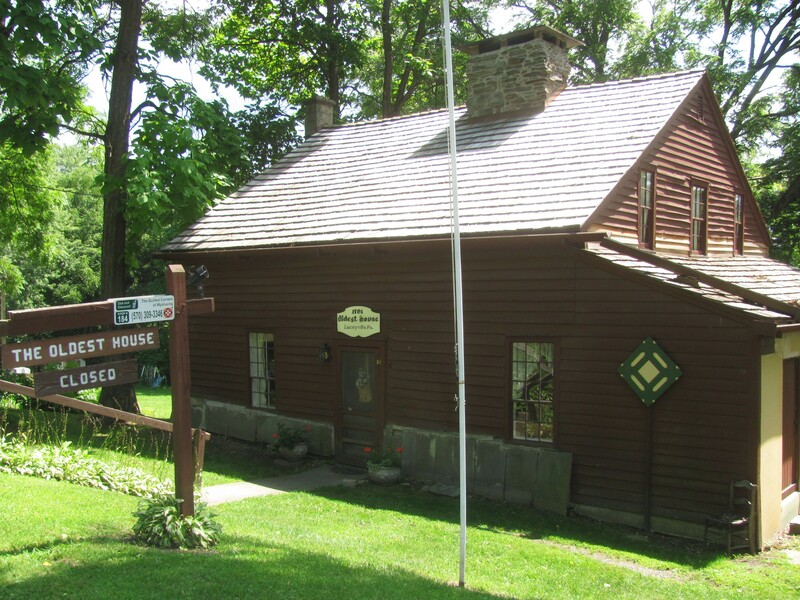 EMHR has administered such grants since 1998 with the cooperation of the Pennsylvania Department of Conservation and Natural Resources (DCNR) and the Bureau of Recreation and Conservation under the umbrella of the Pennsylvania Heritage Areas Program. EMHR will solicit applications through Saturday, Nov. 1. 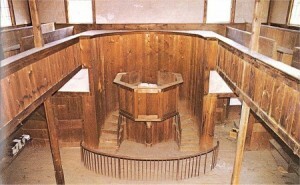 Forms can be downloaded via www.emheritage.org, where the agency’s Priority Areas are identified, and additional instructions are easily accessible. Non-profit groups, municipalities and units of government interested in planning and implementing projects serving community or heritage development, historic preservation, or resource conservation/enhancement goal are encouraged to apply. Applications receiving the most attention will be those matching EMHR’s highest priorities, which include interpretive and educational projects that spur economic development and identification of and enhancements to tourist and recreation destinations. 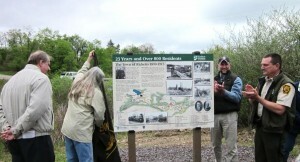 Secondly, the grant committee will look favorably on efforts to develop interpretive materials, such a brochures; host programs, such as walking tours and traveling exhibits, workshops, and lectures; document scenic and geological resources of the Endless Mountains; and identify anchor heritage sites that have the potential to become community or regional heritage centers. 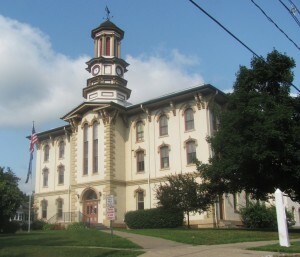 Community planning projects, such feasibility studies for adaptive reuse of historic structures; comprehensive preservation and conservation plans, development of relevant training courses for municipal and business leaders; and partnerships that foster entrepreneurial potential and identify heritage-related small business opportunities are also of great importance to EMHR. Employing a 50/50 match component, EMHR is able to provide funding and technical assistance to project partners throughout the four-county region. Staff members have more than 30 years of combined professional experience in grant and project management. Successful and unsuccessful applicants alike are invited to take advantage of the wealth of expertise in developing and implementing worthwhile projects offered by EMHR, such as grants and funding research, grantwriting and funding proposals, contract administration and documentation, and integration with related projects and initiatives. EMHR staff is available to discuss project plans, identify common goals and potential funding sources, and to help form partnerships. For additional information not found at www.emheritage.org interested readers may contact Phil Swank at 570-265-1528 or send an email to emhr@epix.net. In Wyoming County, EMHR grants have aided in the restoration of the clock tower on the courthouse in Tunkhannock (above) and exterior improvements and a structural analysis of The Oldest House (below) in Laceyville. In Bradford County, EMHR grants have funded portions of the interior renovations of the Old Burlington Church (below), which was constructed in 1822. In the State Game Lands near Mildred, EMHR grants were used to fund interpretive signage (below) and a documentation of the all-but-forgotten logging town of Ricketts, which straddles the border of Sullivan and Wyoming Counties.